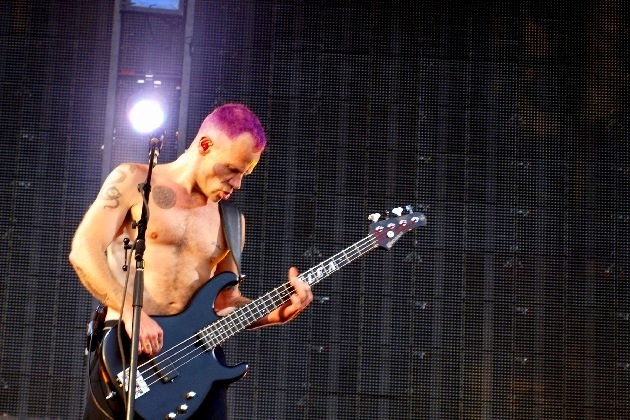 Red Hot Chili Peppers bass player Flea has been working on a book for years, and now, the low-ender has announced that his debut memoir will arrive this fall. The book, which will be published via Grand Central Publishing, is called “Acid for the Children” and will hit stores in a variety of formats on Sept. 25. “Acid for the Children” will discusses Flea’s “fascinating life story, complete with all the dizzying highs and the gutter lows you’d expect from an LA street rat turned world-famous rock star,” according to the book’s official description. Flea has put years into writing the book, as he first announced that he was working on a book of sorts back in 2014. “Acid for the Children,” according to the book’s listing, will retail at $14.99 for the traditional, softcover version and encompass 400 pages. For a bit steeper cost, the book will be available in other formats, including an audiobook or hardcover book. In other news, the Red Hot Chili Peppers have been holed up in the studio, working on a new album. The upcoming set, which will mark the band’s highly-anticipated follow-up to 2016’s “The Getaway,” is expected to arrive sometime later this year or in early 2019. As for right now, the band doesn’t have any future tour dates lined up. Their most recent gig big gig was performing at Band Together Bay Area at the Bill Graham Civic Auditorium, in San Francisco, California, last December.